Knee pain is one of the most common causes of disability among men and women in the U.S. 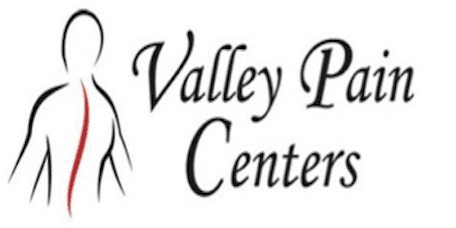 The doctors at Valley Pain Centers are skilled in assessing knee pain and providing the most appropriate and most effective treatments for long-term pain relief. They serve patients in the North Phoenix and West Valley areas. Knee pain can be caused by many issues, including traumatic injury, overuse and repetitive use. One of the most common causes of knee pain is osteoarthritis, a degenerative disease that causes the joint lining to wear away over time. Knee pain diagnosis begins with a review of symptoms and a physical examination of the joint to determine which types of movements cause pain. Diagnostic imaging can be useful in providing more detailed information about the joint structure. Additionally, a minimally-invasive technique called arthroscopy can be especially helpful, as it obtains even more information about the internal structure of the joint, including “real time” images of the joint surfaces. Valley Pain Centers uses an arthroscopy system called VisionScope® to insert a tiny camera inside the joint using a very small incision. The procedure can be completed in the office in about 10 minutes. Images from inside the joint are transmitted to a computer monitor, enabling the physician to view and evaluate the joint so treatment and healing can begin as soon as possible. Some knee pain can be relieved with injections of corticosteroids to help reduce inflammation in and around the joint. Physical therapy may also be used to improve strength and flexibility. When the joint surfaces have been damaged by mild to moderate osteoarthritis, viscosupplementation can be very helpful in relieving pain and restoring joint function. In this technique, a lubricating fluid called hyaluronic acid is injected into the joint space to reduce friction and relieve inflammation inside the joint so pain-free movement can be restored. Hyaluronic acid is a naturally-occurring substance found in the fluid inside joints. During viscosupplementation treatment, the lubricating solution is injected directly into the joint space, often using a special x-ray technique to ensure accurate placement of the needle. The procedure takes less than half an hour to perform and patients can return home shortly afterward. Viscosupplementation treatment can help many patients delay and possibly avoid the need for knee replacement surgery.